Classic brandy glass goblet crafted in quality lead crystal with cut glass decoration on the body with a blank panel for engraving. Ideal engraved as corporate gifts or personalised gifts. Optional deluxe presentation box available. A classic round brandy goblet, reassuringly weighty yet comfortable to hold, and featuring attractive cut glass decoration on three-quarters of the body with a blank panel for engraving. 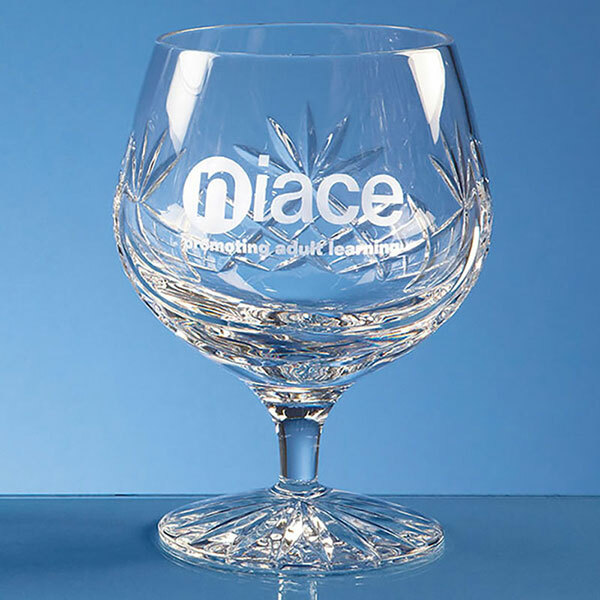 Crafted in quality lead crystal, these brandy glasses are ideal engraved as personalised gifts, corporate gifts or corporate recognition awards. 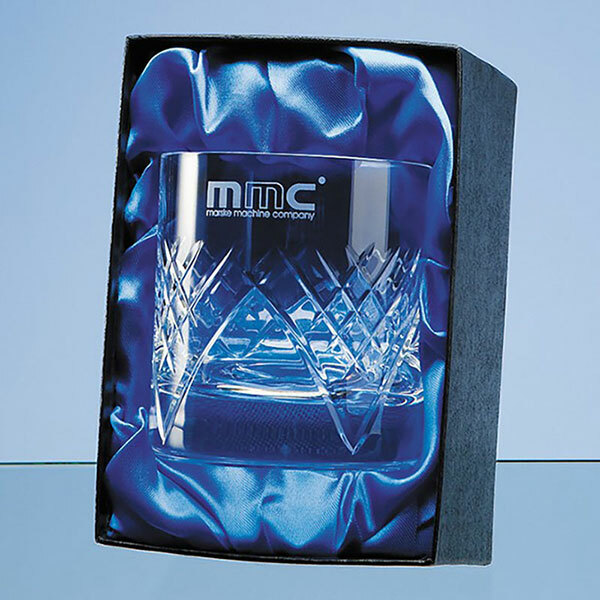 An optional deluxe satin-lined presentation box is available for your engraved crystal brandy glass.